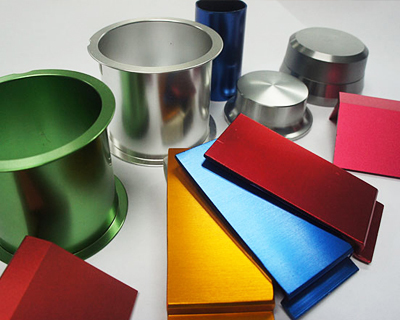 Anodising refers to the electrochemical process that transforms ugly and non-uniformed metal surfaces into a decorative, durable and corrosion-resistant anodic oxide finish. This service is by far most popular for use on aluminium surfaces. This is due in part to the fact that this metal is ideally suited for this method. However, a number of other nonferrous metals are also incredibly popular with the anodising technique, included among these are magnesium and titanium. We wish to assure our customers that any and all damage that occurs naturally as part of the anodising process will be kept to a minimum. We can assure this due to the high level of skill and experience that our team have working with this solution. Additionally, all resultant damage will be, where possible, rectified by our team as part of this service. Anodising is an especially popular means of breathing new life into surfaces which have become damaged or where the coating has become discoloured beyond the point where a simple recoat will remedy the situation. Instances of this include window frames, curtain walling or shop front frames. The causes of this level of damage are diverse. They can range from a clumsy clean of a building’s façade that has not made use of the correct protection measures and, as a result, the aluminium has suffered. Equally, this form of damage can occur naturally, instances of this include the prolonged impact of sea-coast exposure or from a corrosive atmosphere. Neglect is a large cause of damage of this nature, as is the initial selection of the wrong finish type. Irrespective of the cause of the damage, Buckingham Coatings have both the experience and the expertise to provide an anodising solution which will transform the appearance of these features, whilst providing long lasting protection to the underlying substrate. 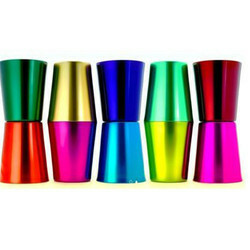 Once the anodising has been completed, a wide number of paint systems can be utilised. We provide a dedicated colour matching service which empowers our customers to utilise the exact colour they desire without compromise. When working on behalf of our clients, we take every effort to ensure that our work does not impact the operation of their business. Therefore, where possible we undertake our work outside of our customer’s business hours, often overnight. For more information, or to arrange a site survey of your premises, contact us by calling: 01908 765 009.